Most adults know that before they workout, they need to stretch and warm up. What many people don’t know is that when kids are about to exercise, they need to warm up as well. Even though kids are much more flexible than adults, they still need to warm up. According to Kids Fit Matters, warming up before gym class is not only beneficial to protect the muscles and the joints, it also helps to gradually increase the child’s heart rate and circulation, which will increase the blood flow to the muscles. Most young children love PE. It is not only a time to exercise, it is a time to play. 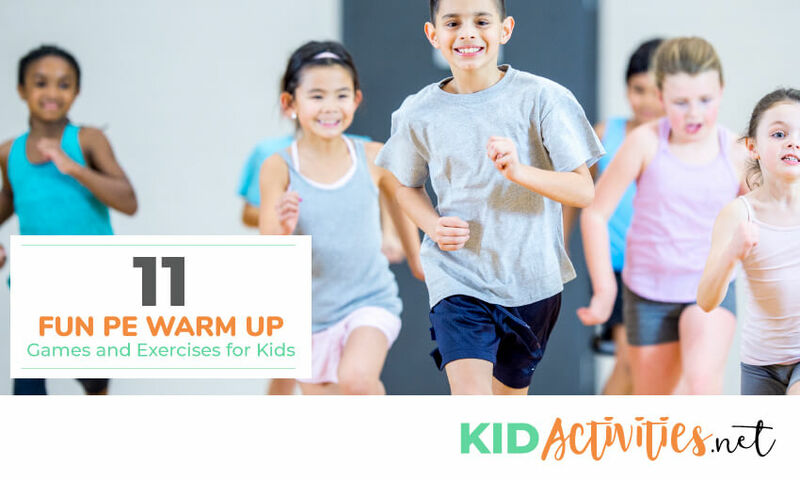 Since it is important that kids do warm up exercises, why not turn the warm-up exercises into warm up games? Below is a list of warm up games that will allow students to enjoy PE class from start to finish. Mirroring is a great game to get kids ready for PE class. It will get their bodies moving and their hearts pumping, getting them ready for class. To play the game, having each student find a partner. Choose one partner to start doing various motions. They can kick, move their harms, spin around, or do any other motions. The child’s partner will try to mirror their motions. You can set a time limit and when the time is up, the partners can trade places and the child who was doing the mirroring can start doing the motions. This fun activity is a great cardio warm up and it will get the students warmed up for exercise or games that you have planned. 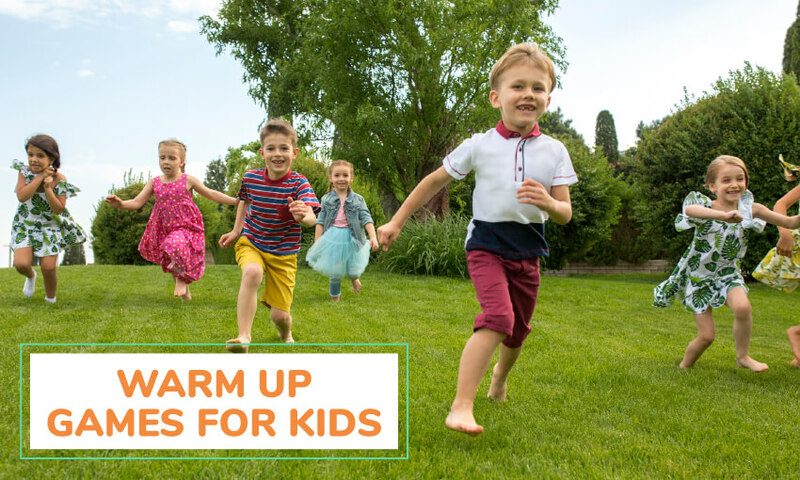 According to Active Kids, jogging, backpedaling, and side shuffling are all great ways to warm up for some intense play and exercise. Donkey tails is a fun way to incorporate all three of these warm-ups into one game. To play this game, you are going to need a strip of material for each student. The material should be about 7-inches long and 3-inches wide. Next, have each student put the material in their back pocket. If they don’t have pockets, they can just put the material in the waistband of their pants. Have the children stand in a circle until you say, “go.” When the kids get the signal, they should run around, trying to grab the tails from the other students. This will require them to run backward, run sideways, and change directions quickly. The student who has the most tails when everyone has lost their tail is the winner. This is a great warm-up because the game should take no longer than 5 minutes. This is a great game to warm up the class because it involves walking, running, and suddenly stopping. Each of these things will get the kids’ blood pumping and the changes in speed will stretch their muscles to get them ready for the activities that you have planned for the class. The game is very simple, which makes it great for kids of any age. Have the kids start at one end of the gym. Instruct the kids to run fast when you shout, “green light”, slow down when you shout, “yellow light”, and stop when you say, “red light.” As the kids go to the opposite end of the gym, keep shouting commands. When the kids get to the opposite end of the gym, start the game again so that they can go to where the game started. This will get the kids warmed up for whatever activity is on your lesson plan. 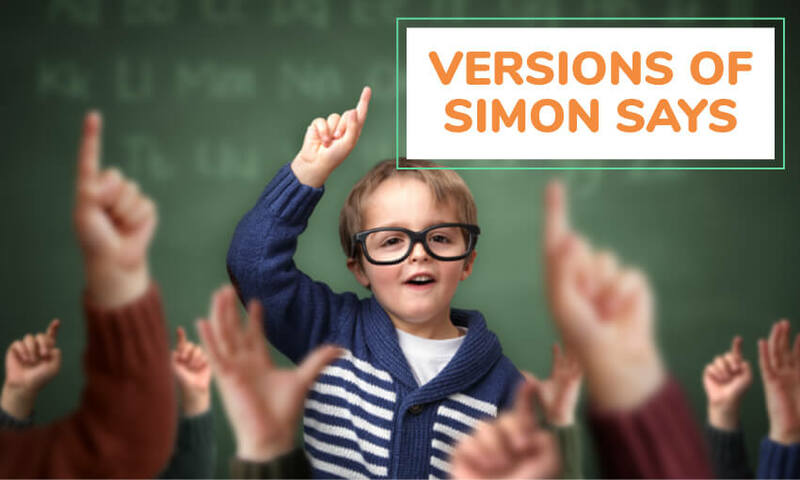 Simon Says is a popular children’s game, however, if you call out the right commands, it is a great way to warm the kids up for the activity that you have planned for PE class. The object of the game is to call out commands and the children must follow them. The only time they should follow your command is if you say, “Simon Says”, first. If you don’t and a child still follows the command, they will lose and will need to sit out the rest of the game. The last child following commands would be deemed the winner. If the kids are really focused, this game can be time-consuming, therefore, you can set a time limit. You can devote 10 minutes to the warm-up. The children left standing would all be the winners. Since this is a game to help the kids warm up for the day’s activity, you should choose commands that will work their bodies physically. A few good commands include, “bend over and touch your toes”, “jump up and down”, “run in a circle”, and “move your arms in circles.” Any command that you can think of that will have the kids use their muscles and move around is great. This is a game that has been around for decades and it is great for warming up the kids for PE. To play the game, you are going to need to sing a song. The words of the song are as follows, “You put your ____ in, you put your ________ out, you put your _________ in and you shake it all about. You do the Hokey Pokey and you turn yourself around, that’s what it’s all about.” In the spaces where there are blanks, you should use a different body part. This will give the kids a chance to get it a light aerobic workout while working different parts of their body. The end of each verse, make sure to have them spin around. This is a fun, sing-song way to get the kids warmed up the activities planned for the day. Of all the fun games for warming up before PE class, Dance Party is the most fun. All you will need is your phone with downloaded songs and a set of WiFi speakers. Start by having each child vote for the songs that they want to dance to. Next, download the three most popular songs in the class onto your phone. When you play a song, allow the students to dance however they would like. You should encourage them to get as crazy as possible. Not only will this stretch their muscles so that they can safely take part in the day’s activities, it will also get their hearts pumping. For most kids, this will be their favorite time of the day. This is a really fun warm-up game that your students will enjoy. You should start by separating the class into two sections. The first group will be the alligators and the second group will be the runners. If some of the kids don’t get to be what they want to, tell them not to worry. The runners will be the alligators and vice versa in the next round. To start the game, have the runners start at one end of the gym. Have the alligators on their stomachs in the middle of the gym. On the word, “go”, the runners should start trying to run to the opposite end of the gym. They will need to run past the alligators in the middle of the gym who will try to reach out and touch the runners. Any runner who gets caught by an alligator should sit on the floor. The runners who make it to the other end of the gym without getting caught by an alligator are the winners. After round one, have the students switch roles for round two. Amoeba Tag is a game that most kids love. It is very easy to play and it involves running, stopping, and changing directions. Each of these is great warm-up exercises. To play, start by choosing two students to be “It.” They will be the first amoeba. Each student that the amoeba tags must hold hands with one of the amoebae and they will all need to run together to tag the other students. The game is over when there are no free students left. For older children, you can add one additional rule. The amoeba can split up but only in pairs of two. This will make it easier for the amoeba to catch the students as they spread out. This is a great warm-up exercise for kids of all ages. Start by having the students stand in a circle. They should stand an arm’s length apart so that they have enough room to move. Choose one leader and have them go to the middle of the circle. It is up to the leader to do one exercise and the rest of the class will follow. The exercise can be anything from jumping jacks to sit-ups. Allow the kids to do the exercise to 20 to 30 seconds and blow the whistle. The leader will then choose a new leader to come up with their own exercise for the class to do. You can play this game until every student has had a chance to be the leader. Crab Races are a lot of fun and your students get to be crabs. To get into the crab position, have your students lie on their backs. They should then put their feet on the floor and their hands under their backs to lift themselves up like little crabs. This position is great for a warm up because it stretches the student’s muscles, forces them to use their muscles, and the race itself will get their hearts pumping. When all of the students are in their crab positions, start the race. The first little crab to get to the finish line is the winner. Jumping rope is a great cardio exercise. According to the American Heart Association, light cardio is important before any workout. Jumping rope at a slow pace is a great way to get the heart pumping. During the warm-up session, students can start slow and slowly increase their speed according to your instructions. According to the CDC, physical education in school is incredibly important. Not only does it teach students the importance of physical fitness, it also helps improve their balance, coordination, and their stamina. The best way for students to get the most out of their workouts is to start each class with light warm up exercises disguised as games. 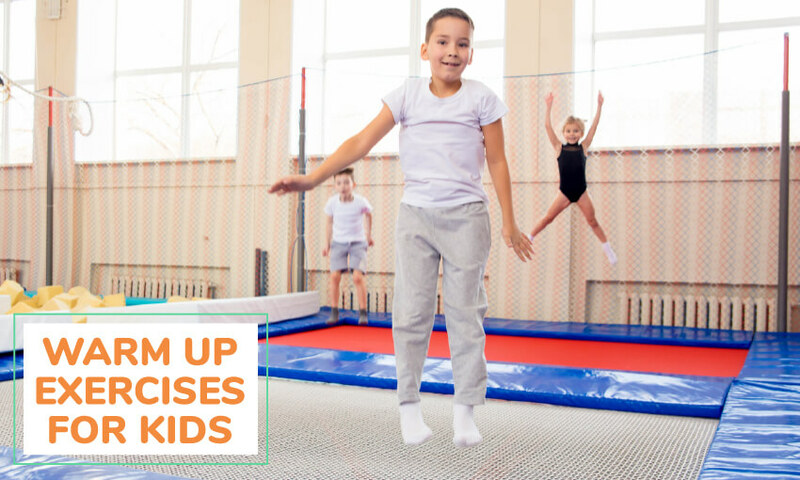 There you have it, 11 fun PE warm up games and exercises for kids. Need more fun gym games and activities? Check out our fun invasion games.